After Google, YouTube is the world’s second largest and most popular search engine based on Alexa traffic rankings. More than thirty million visitors visit YouTube every day. Several make use of it to promote their brand; many people use it to showcase their talent & a number of people use it to make money. However, YouTube success is not about just posting content. Instead, just like your website, you have to optimize your YouTube video content for success. It’s not really difficult to discover videos with millions of views and videos with approximately none that are fundamentally the same. There are a few elements that make the difference between failure and success. Many people do SEO for Google, but they do not know that YouTube SEO can also increase more search traffic. You are missing out if you are not doing Youtube SEO. A lot of the optimization work could be summed up into a process when it comes to YouTube search engine optimization. This optimization work you can apply to all your previous videos and then to every new video as you publish. It is worth the time to invest in video optimization if you really want to get more YouTube views, subscribers, and rankings. Unquestionably, the best part is the low obstacle to entry to being a YouTube SEO practitioner. In this digital era, most people love to watch videos and it is a fact that videos can help you sell extra products or services. In reality, last year a study was done by Cisco in which it is predicted that video will account for over 80% of all customer internet traffic by 2020. At present, the hottest topic among entrepreneurs is YouTube marketing. With over 1,325,000,000 people using YouTube, it therefore carries a huge number of viewers and traffic. So, we can say that nowadays more than half of the world’s population is using the internet. There are 300 hours of videos uploaded to YouTube every minute of each day, 5 hours of video content each second, which only confirms the fact that these days video marketing is a rising trend. Sure enough, with the rising demand for video content, several businesses are scrambling to make a video marketing strategy to boost their exposure, traffic, and sales. Most of the businesses acknowledged this trend near the beginning and are by now, way ahead of the curve. Sometimes, achieving video marketing success is seen as exclusive and difficult to do but actually, it’s not. If you include a video on a landing page, it could boost 80% conversions – If you include video in email, it can increase CTR by 200-300% – Video marketing can give significant ROI, 73% B2B companies say – 10% of people remember text information but when its video format 65% of users will remember – It is predicted in a recent study that by 2019 80% of Internet traffic will come from video. Whether you are in search of ways to improve your efforts or just new to YouTube video marketing, you will benefit from our following YouTube video marketing success steps for perfecting your strategy, appealing to your audience and utilizing the platform as efficiently as possible. Our YouTube video marketing steps can help you create engaging videos that will boost traffic, increase subscribers, and eventually boost revenue. Keyword research is a primary and vital step of YouTube SEO. As YouTube is a video search engine, you should use a strategic approach for content creation, the same as you would for website optimization. For your video optimization process, you have to gather the right keywords, since without the right keywords YouTube SEO is not complete. This means you first have to conduct keyword research to discover what your viewers are interested in and how they speak about it online. Beginning your YouTube keyword brainstorming is not difficult. You need to just go to YouTube and in the search box initiate typing a keyword. As you type in the search box, YouTube Suggest will recommend the most common searches to you, which is the auto-complete characteristic on YouTube built into the search box. When you utilize the Ubersuggest tool for keyword research, it will repeat through the alphabet for the initial letter of the next word of your search phrase. Instead of the default “Web”, keep in mind to choice “YouTube”. You will most likely need to be capable to compare the searched keywords with each other to see which ones are searched on more, over and over again. There’s a tool -Google Trends- for that, and it’s totally free, provided by Google. It is actually shocking that several SEO experts are not aware that Google Trends also have a “YouTube search” alternative below the “Web search” option, which will offer YouTube-specific search volume data. This tool is quite handy for comparing keywords to each other. You should make a list of keywords related to your niche and finalize your target keywords. In the Google search results, you most likely track your rankings for a variety of your preferred keywords, but have you ever done this with YouTube? If not, you must! There are several free and paid tools for this, so discover one that you feel good with to track your growth as you optimize your videos. In the fast-paced world of YouTube, you must have great content to compete with your competitors and stand out from the crowd. However, getting a viral hit is enormous, but you should keep in mind that YouTube is not only about views, you have to make a subscriber base and build an enduring relationship with the audience. If you think of how you can achieve this then you should produce quality content and publish it on a regular schedule. If you do not post your content regularly, you will definitely lose a few of your subscribers. The first thing that our eyes are drawn to is the title whenever we search for videos. The title of the video must be convincing as well as brief and obvious, because it often determines whether the viewer will click to watch your video or not. If the title very much matches with the searching phrase of viewer, it’s really beneficial. 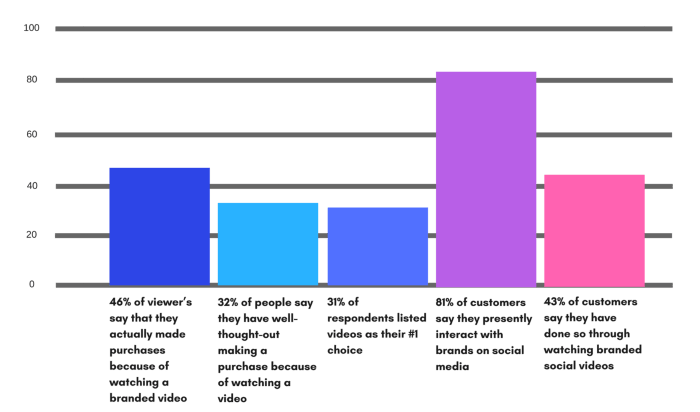 According to a research carried out, it found that videos with a precise keyword match in the title have a slight benefit over those that do not. So “using” your target keyword in your title might help you rank. Lastly, ensure to keep your title quite short. For YouTube video descriptions, the official character limit is 1,000 characters as said by Google. And whereas it is fine to make use of all of that space, keep in mind that your viewer presumably came here to watch a video instead of reading a story. Before writing any description for YouTube videos, you should write a description according to Google because if you write a longer description, then YouTube only shows the first 2 or 3 lines of text, which amounts to about 100 characters. To see the full video description, audience will have to click on show more option. So, you should front-load the description with the vital information, like CTAs or important links. As for itself optimizing the YouTube video, it is great to add a transcript of the video, particularly for those who have to watch it with no volume. It has been found in a study that no connection between descriptions that were optimized for a sure keyword and the rankings for that keyword. Thus, an optimized description helps you out to show up in the recommended videos sidebar, the most important source of views for the majority of channels. 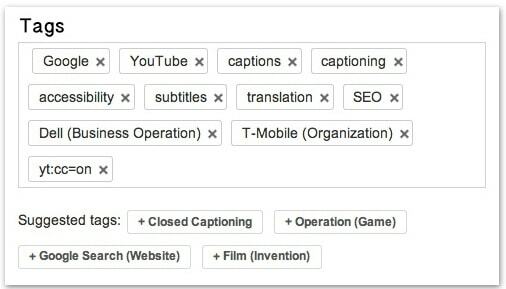 A perfect method to use keywords related to your video is adding 10 to 20 tags for every video but that cannot obviously fit in your title or description. Every tag should be a word or phrase which is related to the video content and the ways wherein you forecast users would find out such a video. A significant way to help out YouTube and Google’s search algorithm discover the subject of your video and help it rank in the search results for related searches is properly optimizing your video’s title, description, and tags. If you have got high-quality content to share with your viewers, then metadata is just a little part of the puzzle and will only help take your videos to the next level. One of the main benefits of optimizing metadata is it will help find your videos discovered by related viewers that are more expected to watch your video. If a video obtains more views in a small time period, that video will rank higher for various key phrases linked to its topic. Playlists feature enables you to manage all the videos on your channel into groupings depending on a topic of your selection. When it comes to attaining better visibility to your channel’s content, there are some benefits in using playlists to organize your video collections on YouTube. When it comes to grouping videos of a similar topic, selecting a keyword focused title and properly providing a description for the playlist target’s YouTube channel is making wonderful use of the playlist feature. Many people think that thumbnails are just stills of a video but the fact is thumbnails are a strong marketing tool that is user-friendly. A tempting thumbnail improves the CTR (clickthrough rate) of the video which sends a sturdy signal to YouTube that the video is being liked by your audience. Go with a “custom thumbnail” for the best results and have that thumbnail image comprise graphical text. If you do so, it will definitely have a positive impact on the video ranking. Hashtags can help you properly define and position your video and make your video become visible in the allied videos section in the sidebar, whereas users are viewing other videos associated to yours, this can bring new visits for you. Therefore, comprise all the hashtags you consider to be related, but evade the ones that are not related to your video. Consider how a user searches for you then research and add hashtags so that your video is incorporated in an exact search. On the other hand, always beware not to “over-optimize” your video. In addition, so as to get the most out of new search behaviors, it is significant for your hashtags to be updated ever so often. The last part of your video must almost subscribe for the consumer. You should provide your users with a one-click option to subscribe and after that tell your audience why they should subscribe. You should give a neat little outro, for example “Subscribe to this video if you like and found its tips useful”. You should add a little arrow pointing to the subscribe button just in case users do not get the hint. Subscriptions send a huge signal to Google, therefore if people subscribe for the reason of this video, there must be something valuable about it. When it comes to improving your Google rankings, link building is still significant. Encouraging your YouTube video audience to share your video with their friends shows Google that you are creating something that people would like. To rank videos within the platform, YouTube also uses user experience signals and considers them a lot. Thus, if after viewing your video, more people subscribe to your channel, then the probability is that you produced some quality content. Another metric that measures user experience is having people like your video, even if that has less importance than the number of subscribers. The strategies for getting your video to rank high in search results are much like the tactics you would use for a blog post. Connecting with the right audience, link building and asking them to share your content, are all significant. You should write blog posts on other websites linking back to your video where suitable. You should spread your YouTube videos on other platforms via your website, blog, email and even social media such as Facebook or Twitter. The main thing that you should keep in mind is when you are configuring your video that you should enable it to be embedded and shared on any other website. Therefore always keep in mind to mark your video as public. Follow the unforgettable but simple points above to implement YouTube video marketing steps for marketing success and you will be pleased about the exposure that this rich form of media is offering you! Eventually, we can say that YouTube is an influential platform but only when we utilize it accurately. Video marketing is still in its infancy and will continue to turn be more vital as we progress. The one really important thing for YouTube video marketing success is getting your video content in front of the right people at the right time. If you have not considered video marketing yet, now is a great time to begin. This rich form of media will help you get more publicity with inexpensive marketing and incredible search engine exposure. Follow the ten steps laid out above and you will see your videos skyrocket in both YouTube and Google search engines in no time!